1. Have you read the twilight books and what do you feel about them? Yes, once or twice or eight times. They are the most wonderful and amazing books I’ve ever read. I am a total addict. It is such a great story and I think it really shows young women today how they should be treated by a man. 2. Are you a full time artist or are your creations a part time gig? I would give my right arm to be a full time artist. I work full time as a karate instructor and craft whenever I have free time. 3. What inspired you to design and create twilight products/art? 4. What is the process you go through to create your art? Most of the time it starts with a quote that gets stuck in my head, or means alot to me. Then I make it look pretty, then I coat it in resin so that it will last. 5. Team Edward or Jacob? 6. What funny/cool story could you tell the fans about you or your art that relates to twilight? Back in 2004 or 2005 my family went to Ohio to visit my family there(we are in California) and the whole plane trip all my sister would talk about was this book called “Twilight” she loved it so much that she slept with it by her side. I thought she was insane. By the 2nd day we were there she had convinced me to read it. I stayed up that entire night and read the whole thing that one night, cover to cover and the next night I was the crazy one sleeping with it. 7. Anything extra you’d like to say? I just hope that I can help others show their love and obsession for this amazing story. My love for Twilight started after the release of Eclipse. A friend begged and begged me to read the series, I thought she was a little nuts over it, but I relented and read it in about 2 days! The story is timeless, hysterical, romantic, witty and just all around wonderful, I totally get why my friend was so obsessed! I even made my dear husband read them with me. He is a big fan now as well and loves the movie and characters as much as I do. I make jewelry mostly out of vintage pieces, stones and freshwater pearls. Many of them are new old stock (vintage but never used) or new pieces created from vintage presses. I also visit antique shops searching for vintage jewelry to cut apart and reuse. I love cottage, shabby chic, Victorian and Tudor styles, so that is what I focus on in my supplies searches. I love things that are timeless, elegant, romantic, but a little bit urban, organic and grungy at the same time. I feel perfectly fine wearing dangley rhinestone earrings with a fitted tshirt and a great pair of jeans. 1. I love books. Words can be powerful. There are at least four books on my nightstand at all times – even if I’m not still reading all of them, I just can’t bear to put favorite books back on the shelf. There is a type of comfort in having them nearby. I took that up a notch to wearing some of the words from your favorite books as jewelry. 2. Aside from my bracelets, I do love sewing. My grandmother was an excellent seamstress. Since I inherited her machine, I feel that I should sew with a passion. I think it would make her proud. My need to create is genetic, I believe. 3. My crafting is only part time right now. I’m a stay-at-home mom to a toddler. Life is busy! But the urge to create never goes away. I get pretty antsy if too much time lapses between creations. 4. As a child, I was always making things… lace crowns, macrame belts, little stuffed animals. But I also problem-solved. I guess I was an inventor, of sorts. At age 7, I realized that my hands got tired of holding all those cards during Crazy 8’s. My father found me in the garage with some wood and a hammer, telling him I was going to make a “card-holder”. He patiently listened to my description, then started cutting. We made a flat board with raised slats where I could stand my cards up in diagonal rows. I could see all of the cards, but my hands no longer cramped! He never told me, “You can’t make that.” It was, “Let’s make your vision happen.” To this day, whenever I get an idea, I just have to make it happen. and the dialogue where Edward seems confused about “dazzling” people and then asks Bella if he dazzles her (in particular). 6. The process for my creations comes from what moves me. I make what interests me. Usually an idea pops into my head and I’ll jot it down or sketch it. Not surprisingly, there is a lot of reading and re-reading involved with my bracelets. I have sharp scissors and lots of glue… and the biggest box of bracelets you’ve ever seen! My kitchen table is always covered with piles of cut paper, drying racks and of course, books. This looks fabulous – loved reading the other artist interviews, and thank you so much for interviewing me. It will be fun to see how this section develops and evolves. Great job! Mention TST or Twitter when you order from my Etsy or Artfire shop (www.christydekoning.etsy.com) or (www.christydekoning.artfire.com) and choose ANY free print with purchase (equal or lesser value). Thanks TST!!! To follow in Christy’s steps… Mention TST when you order from my Etsy shop – http://www.twilighterVA.etsy.com – and receive 10% your purchase! Pfffft……seen better. If it didn’t have ANYTHING to do with Twilight, youse guys would think the same. Honestly. I strongly encourage the fans to check out these artists. They love Twilight as much as regular fans and work really hard at their own individual craft. Each artists creates from their heart and that is the real skill. I agree with Michelle. I think they are all absolutely talented artists, that are creating wonderful products to share their love for Twilight and for what they do…whether it be making jewelry or bath and body products. Thanks so much to those who have worked so hard on this fabulous website and to the featured artists for creating fun new Twilight goodies! 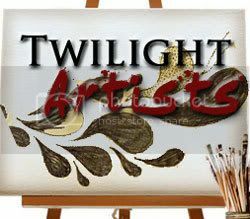 I have loved seeing all the other Twilight Artists who have been featured as well, there is a lot of talent out there! I hope the media and papparaz leave rob and kristen alone for a bit. When is this going to be updated? thank you so much for featuring me! its an honor to be included with such amazing creators! There needs to be more Twilight artists! I love all their creativity! Log in | 53 queries. 1.158 seconds.